I recently started creating our weekly menu using Pinterest. I know this is not a new idea for many of you, but for those that pin recipes and never actually try out them out this may help (this used to be me!). Every Thursday I plan our meals for the following week in order to have our grocery list updated before shopping and it ensures our weekend meals are included. I do not know about you guys, but if I do not plan our weekend meals, we end up eating out or ordering takeout which is not good for the belly or the budget! I know this may sound crazy, but I promise it works! Of course there are days when we go off schedule depending on what we have going on, but it helps big time. It limits those "what are we going to eat" days. You can switch it up with spices or putting a spin on it like "Taco Tuesday" or "Breakfast for Dinner" so your family does not get bored. For us, if we have no big plans, then Saturdays are great for new recipes or to make something more time consuming. On Sundays, I like to make green soup with the older vegetables and it is the perfect way to make up for any treats the day before (ahem...wine or extra piece of cauliflower pizza!). My next tip is to create a board for meals that really appeal to you for cooking dinner at home. Start with easy go-to meals to add to your arsenal. I use my Healthy/Paleo board to see what meals stand out to me, and keep in mind what protein I have in the freezer or what protein we are craving. After selecting the recipes, I re-pin them into my Weekly Menu board, and label them by day of the week. 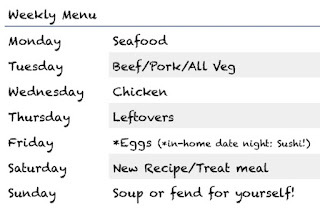 Keep in mind the meals/recipes you select for your weekly menu do not have to be followed as indicated. 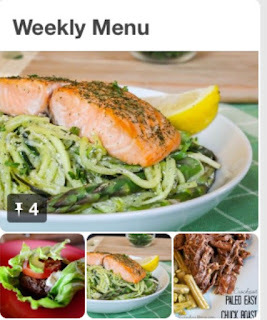 It is okay to use Pinterest recipes as inspiration which is usually what I do. For instance, I pinned Balsamic Glazed Salmon, and I didn't even look at the recipe because I had no time for that on Monday. I basically added balsamic vinegar, parsley, lemon and spices, then let the salmon marinade and baked it. It was balsamic inspired! Once our weekly menu is finalized, I check our pantry and fridge and add what we need to our grocery list on our Wunderlist app. If you haven't tried Wunderlist, you are missing out! 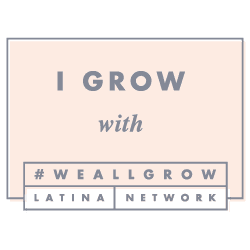 I am able to share the list with my husband and we both have the app on our phones, so if he ends up hitting the grocery store on his way home from work, we both have updated access to our grocery list at all times. 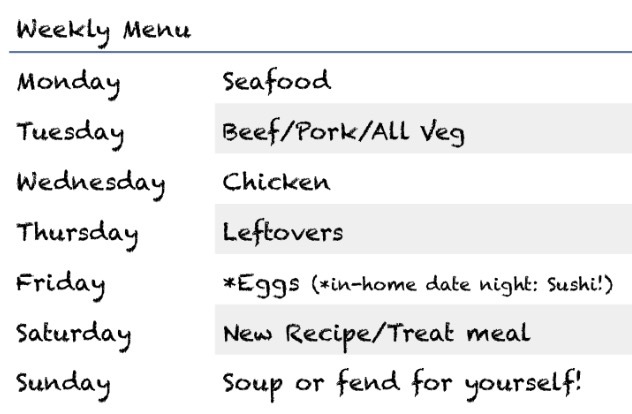 At the end of the week, I delete the meals in my weekly menu and add the new ones for the following week and so on. This method has kept us on point with our budget, healthy lifestyle and it helps inspire me to try out new recipes (like this turmeric chicken or this whole grilled fish!). If you have any tips to add, please let me know! 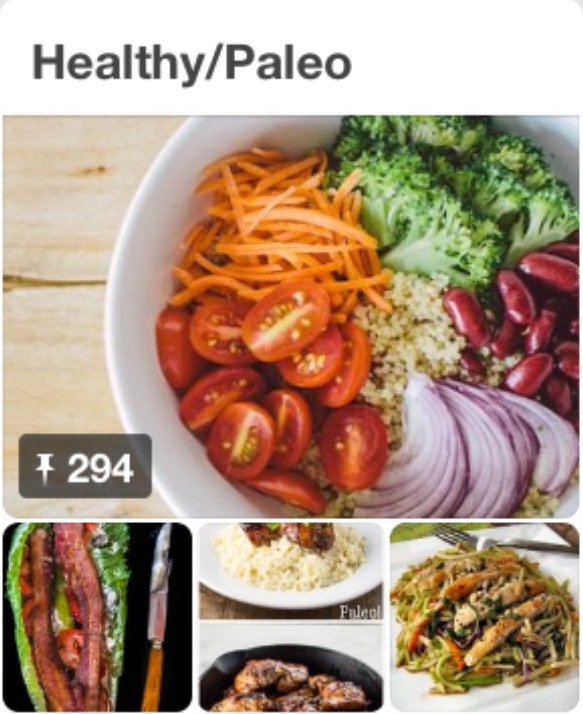 I would love to hear your thoughts and also any Pinterest recipes you have tried and love. Hope you are all having a great week so far...Keep Swimming!